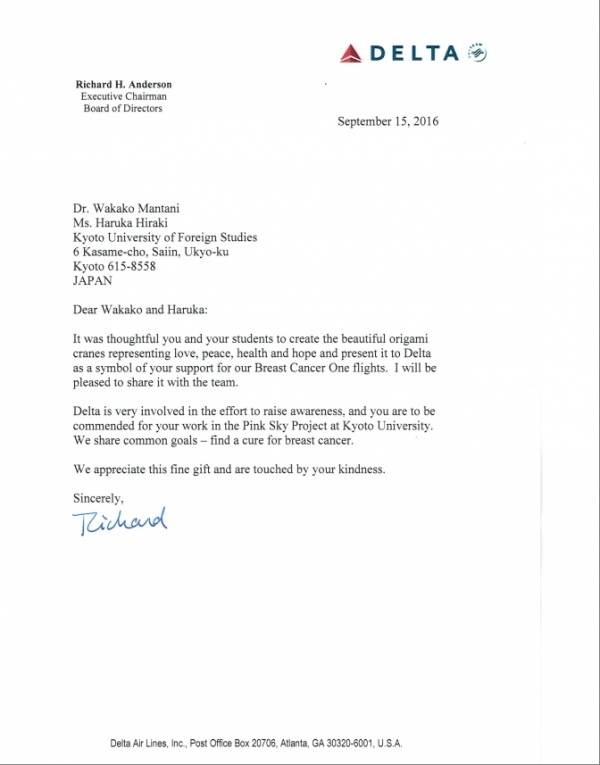 The following report was provided by Haruka Hiraki, who has been the leader of "Pink Sky Project", students' volunteer group for supporting breast cancer patients and survivors. 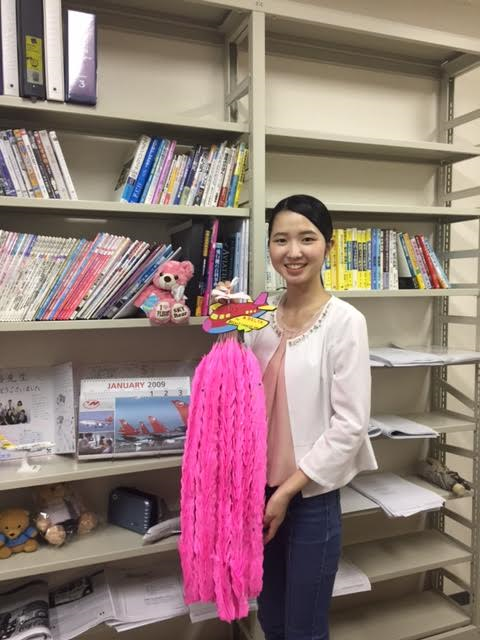 Ms. Hiraki graduated KUFS in Mar 2017, and is now working for an airline as cabin crew. We appreciate your continued support!